Ever-so-long a lurker on the Slow Rotation — which sadly never appeared in Bookclub, despite long being on the list — I was glad to find this on KJM’s shelf for the snaffling. Pollan investigates the biological, ecological and political costs of producing three meals: McDonald’s eaten in the car on the road (sourced primarily from corn); two organic meals (one from Big Organic, one from “beyond” organic farming); and a hunted/gathered/gardened meal. Excellent research, insightful analysis, interesting conclusions. 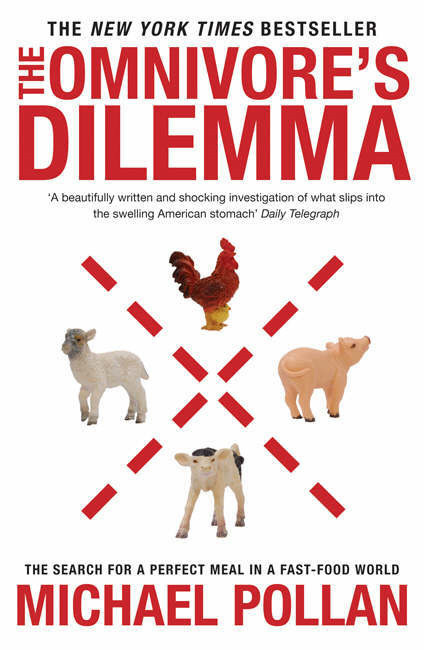 A thoroughly confronting book, even for one who thought she knew quite a lot about food production. Highly recommended.